Though the mansion has no permanent resident, there are 130,000 people in Qufu, out of a population of 640,000, with the surname Kong. "I am so proud to be a son of the temple's guard," says Kong Weifeng, a local elementary school teacher who voluntarily gives lectures on Confucianism to local villagers in the countryside. "What Confucius taught is in our belief and blood." The Cemetery of Confucius, where he and his descendents were buried, is probably China's oldest and largest family cemetery, with 4,000 pieces of stele and about 100,000 tombs. Two kilometers north of the temple, it is a place for quiet meditation. Dinnertime is never boring. During the reign of Qianlong (1736-96), the Kong mansion cuisine was created based on Shandong flavors. The dishes are delicately and artfully displayed. Some restaurants organize rituals honoring Confucius before the meal, which are probably too complicated for today's people, but they offer an unusual experience. Group dancing shows about Confucius are staged every evening from April to November in the downtown's Xingtan Theater, acting as a fine after-dinner dessert to digest the day's rich banquet of culture. Xingtan is named after the place where the sage gave lectures. On Sunday morning, you may watch or join in a Confucius-worship ceremony in the Qufu Confucian Academy. Note that the ceremony will only be organized for groups of more than 20 people. 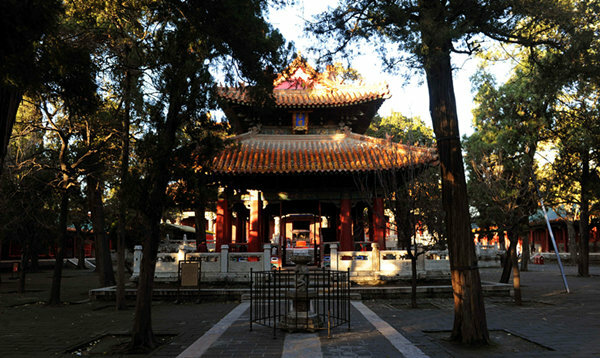 The largest-scale ceremony in the Temple of Confucius was held on Sept 28, the birthday of Confucius. The academy also provides opportunities to learn the "Six Arts" recommended by Confucians, including horse-riding, archery, and playing traditional Chinese musical instruments. You may also don traditional Han clothes and listen to a lecture on Confucianism in the sacred educator's hometown. You must, of course, visit Confucius' birthplace, which is in a small cave on Nishan Hill in neighboring Sishui county. It is a 40-minute shuttle bus ride away from downtown. There are also a smaller Confucius temple and a traditional academy in Nishan, which are quieter and more conducive for meditation.